On a great catch for a long ball score for the Jags/Donte Moncrief the course of this game changed. Moncrief and the defender both thought they had the ball and wouldn’t let go of their share of it. It was ruled a catch by Moncrief and a TD, but it was under review…but still neither guy gave up the ball; writhing around on the ground with it. The benches started to empty a little bit and the next thing you know Leonard Fournette and Shaq Lawson are in a barehanded first-fight…punching each other in their fully helmeted heads. Brilliant. Order is restored. Fournette-Lawson are ejected. The play is reversed to a catch and inches shy of a TD. The Jags struggle to punch it in on the next play, but then they throw a TD pass…but offensive holding pulls it back. Then they take a sack. They go from 1st & goal from an inch away to have to kick a longer field goal…which they miss, and all the air came out of the Jags balloon. The ensuing drive by Buffalo showed what the Jags are made of… A 15-yard penalty against Jacksonville on the first play. A roughing the passer on the next play shot the Bills right down the field for a score, the lead…a lead they’d never relinquish. Once Fournette left, the Jaguars had no answer on offense. Jacksonville is now losers of 7 games in-a-row. Season over. They’ll be lucky to get a 4th win this season. You know what’s crazy? Here comes the Buffalo Bills into the wild card chase again. They have four winnable games on the schedule and New England, remaining. They, in all probability, can not get there…but if they beat Miami this week they’d wound Miami’s playoff hopes all but dead and then they’d be hosting NYJ-DET. Win this week, and it could be a 7-7 Buffalo team heading to weakest-in-a-decade New England in Week 16…it would be, at least, interesting. We see the Bills finishing 6-10, possibly 7-9 if everything breaks right. 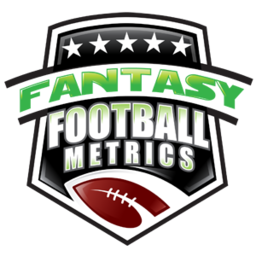 -- First things first, the Jaguars are moving to Cody Kessler at QB and that changes a lot of things for fantasy…because as bad as Blake Bortles is – Cody Kessler is worse. Arguably the worst QB in the NFL…only Nick Mullens could make an argument. 1) Kessler in, Fournette out, another O-Lineman down (the worst O-Line in the NFL), season over (playoffs-wise) after a bad beating in Buffalo -- the Colts -4.0 over J-Ville is the ‘bet of the year’ this week. I just robbed my kids savings accounts and sold plasma, sperm, hair, marrow and a kidney in the last 24 hours to make this bet – I bet it all on Indy. It’s amazing I have time to research and write these recaps with my busy health-related issues…but I’m a workhorse. 2) Bortles gave the threat of running the ball…Kessler does not. A bad O-Line and Kessler…don’t be so high and mighty sure on Carlos Hyde (10-33-0) doing anything against Indy. He was stiffed by the Bills in this game. 4) As long as Kessler is the QB…you LOVE the DST opposing, which means all-in on Indy this week if needed. Tennessee gets him next week…if Kessler makes it that far. -- All the Buffalo Bills fantasy options are total garbage too…their normal state of being. 1) No, Josh Allen (8-19 for 160 yards, 1 TD/0 INT, 13-99-1) is not a fantasy sleeper because he ran for a TD. Has not scored a TD in 11 of his last 12 games. Just 1 catch in each of his last two games. Rushed for fewer than 50 yards in a game in four of his last 5 games, and 20 or fewer yards rushing in three of his last 5 games. 3) Robert Foster (2-91-1/3) is not a thing…just forgotten in coverage for a score. Zay Jones played the whole game and had 0 rec. on 1 target. Can’t trust him. -- If the Bills are going to get back into the wild card hunt by winning three in-a-row (MIA-NYJ-DET) then they will be led by their defense. Their DST might be pretty hot here if they keep winning. Facing bad QBs this season (Mariota, McCown, Bortles) they’ve allowed 11.0 PPG to them and gone 3-0. Everything but Fournette is dead for the Jags going forward, and Fournette likely sucked down the drain too. TEN-WAS-MIA in Weeks 14-16 for their DST seems nice, but their DST has been terrible this season. Low sacks. Just 1 D-TD. Hell, they just gave up 24 points to Buffalo. The Bills…only the defense matters and literally nothing else down the FF-stretch.